Discover a new lifestyle by moving into a three-bed apartment at Redcliffe Place. 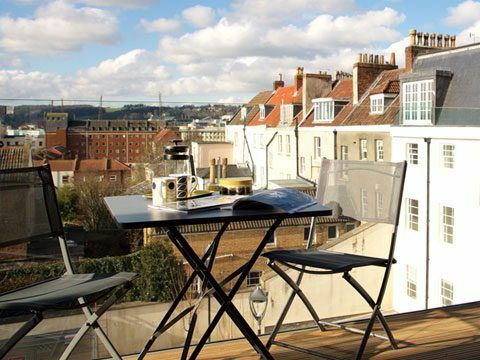 A short walk from the buzz of central Bristol, you can move into these beautifully converted homes now and start enjoying this peaceful location, which is only minutes from Temple Meads Station, Bristol Harbourside with its vibrant eateries, and the city’s retail centre. Redcliffe Place is the meticulous renovation of former offices by Change Living which includes a collection of generously proportioned three bedroom homes. Selected units have their own private entrance and all enjoy either spacious terraces or balconies, some with views over the Bristol skyline towards the countryside, as well as access to the attractive landscaped car park and cycle storage, via a secure electronic gate. These are remarkably spacious apartments where floor to ceiling windows ensure that the rooms are light and airy. The family bathrooms and en-suites have been designed with the highest attention to detail and the sleek Porcelanosa kitchens feature integrated Neff appliances, contemporary matt finished units and silestone work surfaces and splashbacks. The space and modern luxury found in these homes make them ideal for a variety of buyers and especially families or downsizers, who will enjoy the tranquil waterside location but will also relish the myriad of activities, entertainment and dining options on their doorstep. Radiating vibrancy and style, owning a three-bed apartment at Redcliffe Place could be the start of your new lifestyle in the heart of the city.